If you've followed my blog for the past few years then you'll know that I love subscription boxes and the more unique the better! 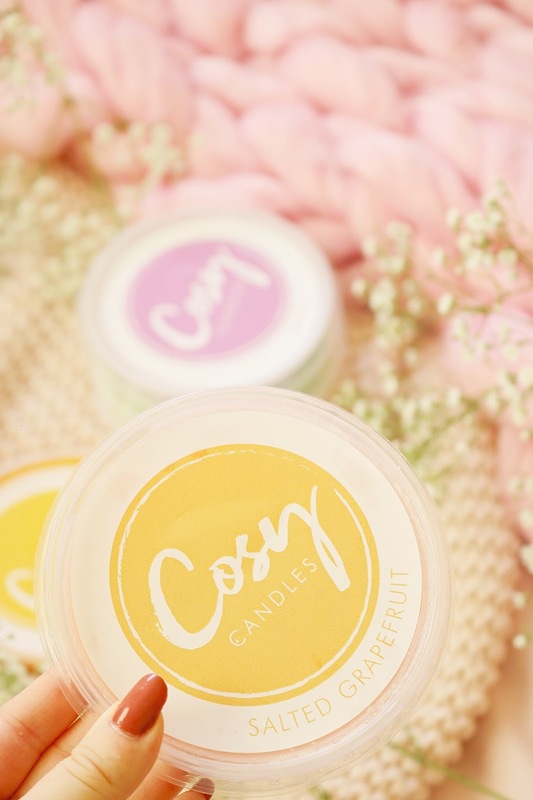 Cosy Candles is a UK based soy wax melt subscription box service which sounds amazing as I love candles and wax melts. I have a subscription box section on my blog if you want to read any more of my subscription box reviews from DegustaBox to Glossybox. Each month there's a different scent theme but you will receive six large soy wax melts each month - the wax melts are approx. 80g each which is much larger than regular wax melts. There is approximately 480 hours of fragrance per box! The theme for the month of July is inspired by the Caribbean and tropical scents which is perfect for the current heatwave we've been having in the UK as it's now 30 degrees in Manchester (I'm melting, get it). The scents within the July 2018 box are as follows: coconut lime, salted grapefruit, lilac, fresh cut grass, mango & passionfruit and lastly, wild mint. 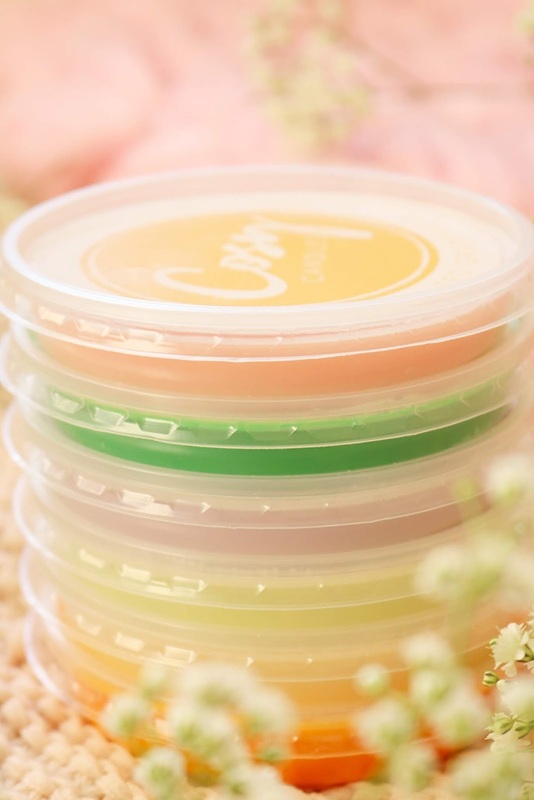 The melts are all very colourful which matches the theme perfectly and they are all SO unique, particually the heavenly salted grapefruit and wild mint fragrances. My favourite scents from the box have to include the mango & passionfruit, salted grapefruit and fresh cut grass. Mango & Passionfruit smells incredibly sweet, fruity and topical - I LOVE it! I think it's my favourite scent of the six from the July box. Salted Grapefruit is a scent that's really nostalgic to me but I can't put my finger on why; it's a lovely sweet, fresh, citrusy and almost creamy scent. Fresh Cut Grass is one of my favourite scents ever so to have it in wax melt form is amazing! It's very fresh and nostalgic (again) as it reminds me of running around the field in primary school. Lilac is the only floral scent in the box and it's perfectly sweet, floral, fresh and feminine which I love as it's a great everyday clean scent. Wild Mint is another fantastic scent for hot, sticky heatwave days as it's so fresh, cooling and not overly minty. Coconut Lime is sadly my least favourite of the six as it's the most artificially scented but it is very summery, creamy and coconutty! The wax melts come well packaged and presented - if you follow me on Instagram then you'll have seen my unboxing of the July Cosy Candles box (@ofbeautyand). The wax melts are easy to cut up to fit within my small wax melt burner, the scents are so unique and they last for a while. The scent dispersion is pretty good and so far I'd definitely recommend them. You can still buy the July box as if you subscribe in July then you'll receive the July box so unlike other subscription boxes, it's very easy to know what box you will receive. You can also buy the July box as a one off box or you can make your own! 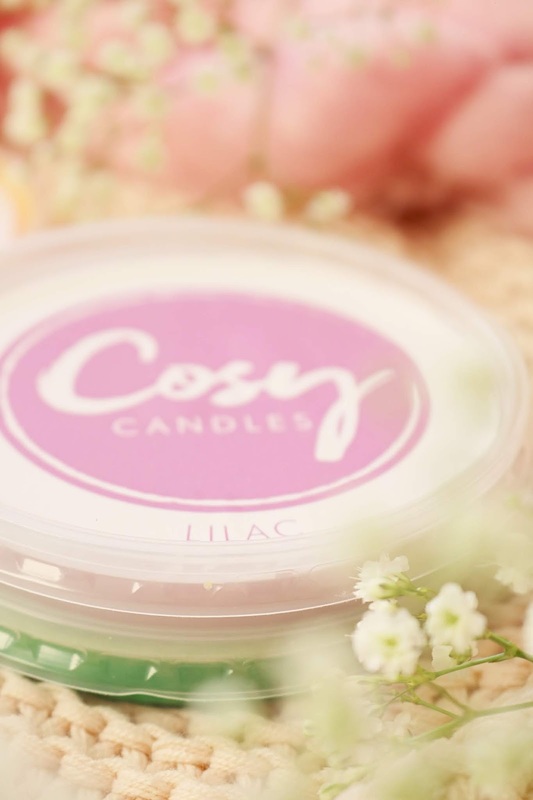 To get your first box for only £3.99 (minimum three month Cosy Candle subscription), use the code: HEATHERCOSY. What do you think of the Cosy Candle July 2018 box? Those scents sound absolutely amazing! £3.99 is sooo good! I love candles and home fragrance! The Salted Grapefruit scent sounds lovely! This is such a wonderful subscription service. I got a pod in Pink Grapefruit and it was lovely. I am going to have to look into this because these sound absolutely incredible! I wish I could smell these through the screen ! This sounds like a great subscription. I don't think I'd sign up to a subscription but I do love a good candle. Mango and passion fruit sounds amazing! Such a good idea, I loooove candles so this would be right up my street! I love this concept! Subscription boxes are fab I love them too. These look lovely! Never heard of wax melts before!